Our company’s philosophy is singular focused on providing a business environment that works for our customers. All Axis Machining accomplishes this by offering a range of services and manufacturing expertise that our customers can choose from to meet their product production targets while containing costs. Summarized below are a variety of services that we offer to accommodate our customer requirements. 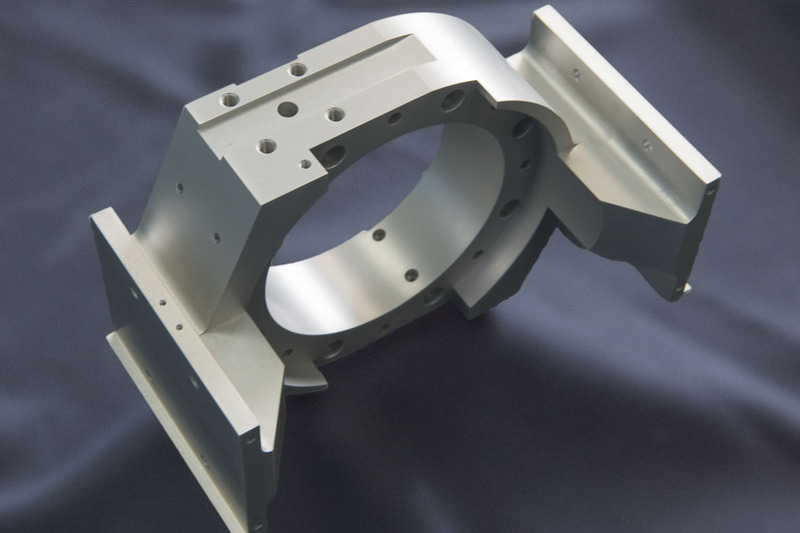 5-Axis, simultaneous machining delivers superior Dimensional tolerance control and improved Product quality by eliminating cumulative Dimensional Stackup errors introduced by multiple setups. 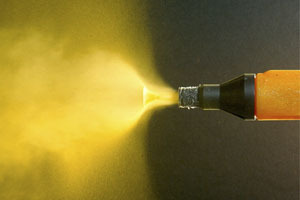 Ideal for complex parts in the aerospace, defense, medical applications. Our capabilities include Large format 47" x 49" work table. High precision glass scales, laser tool pick-up, temperature controlled environment permit tolerances of 0.0001"
A full range of standard and custom, aluminum and copper heatsinks. 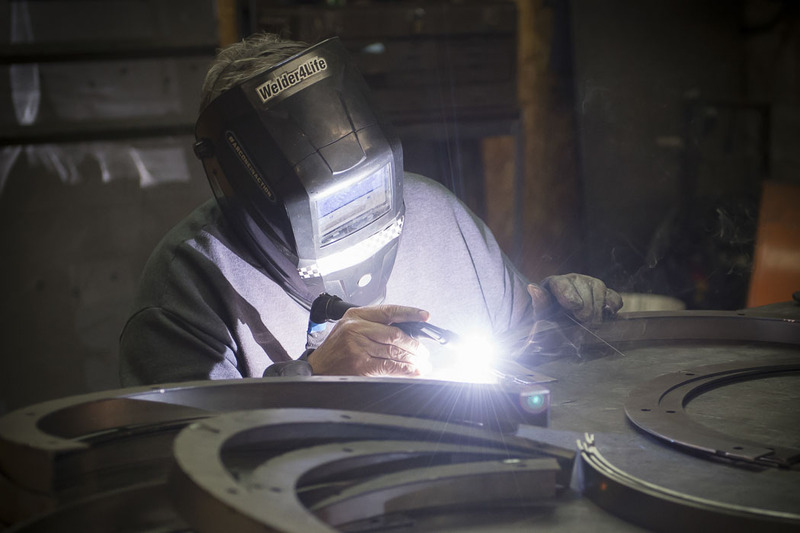 Manufacturing capabilities include extruded, stamped, skived, bonded fin, folded fin, cast and forged. 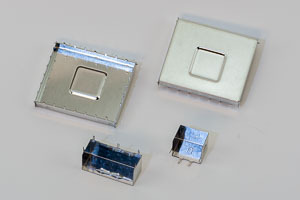 We also provide accessories such as thermal interface materials mounting clips and hardware and insulators. 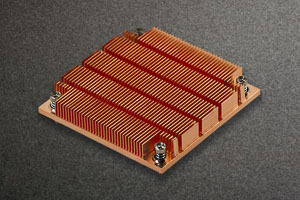 Also produce heatpipe assemblies, liquid cooled cold plates, brazed and bonded heat exchangers. 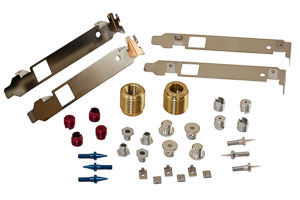 Extensive inventory of stocked extrusion and stampings. 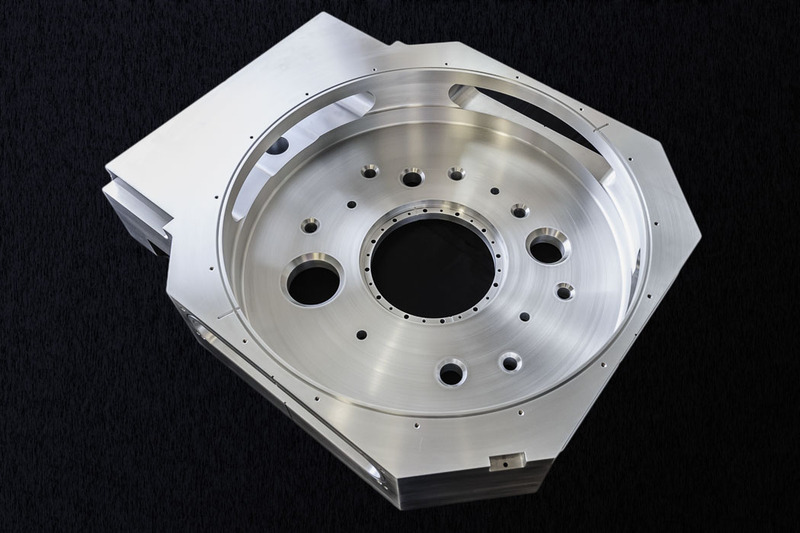 A combined, simultaneous, 5-Axis, mill and CNC lathe allows for the ultimate in complex parts to be fabricated in a single operational cycle. The high precision glass scales allow tolerance parts with tolerances of 0.0001" to be achieved. Maximum swing diameter is 21.3" Maximum length is 47". 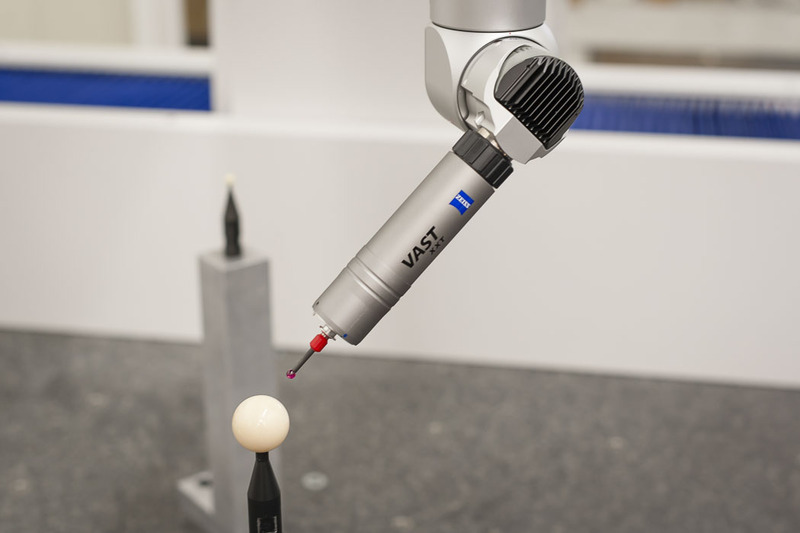 Embedded machine automation features allows for cost effective production. Vertical Milling Centers offer a cost effective approach to machining parts requiring tolerances in the 0.0005 and above range. Largest format machines is 64" x 32" x 30"
High Speed spindles allow tiny features to be machined. In-house fixturing allows us to maintain dimensional repeatability, and be efficient for prototypes to high volume production runs. 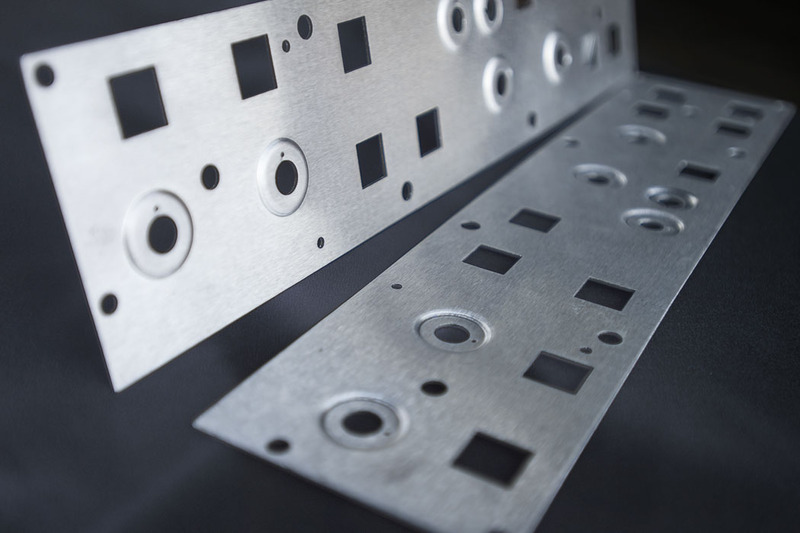 A full range of manufacturing capabilities including Laser Cutting, CNC Turret Punch, 10' Press Brake, Welding, shearing, forming, coining. 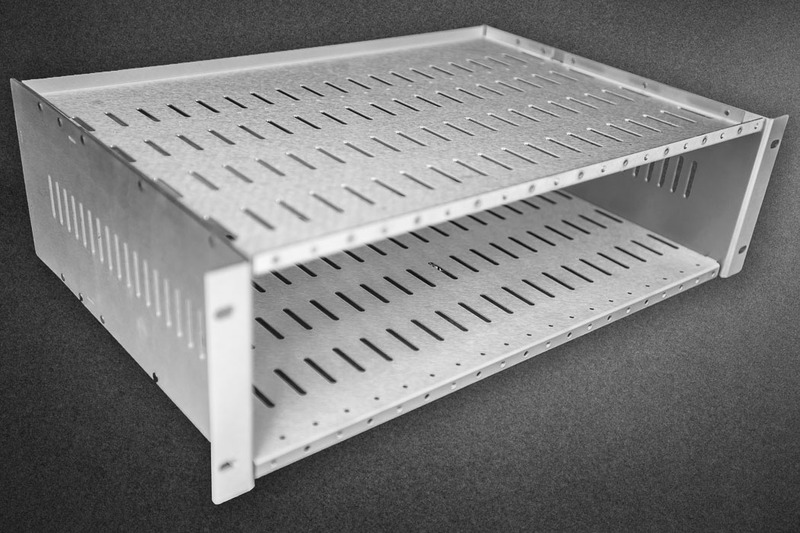 We produce both custom and standard chassis, enclosures, brackets, drawers cabinets, storm/tornado shelters (std. & custom) white board and tablet holders. 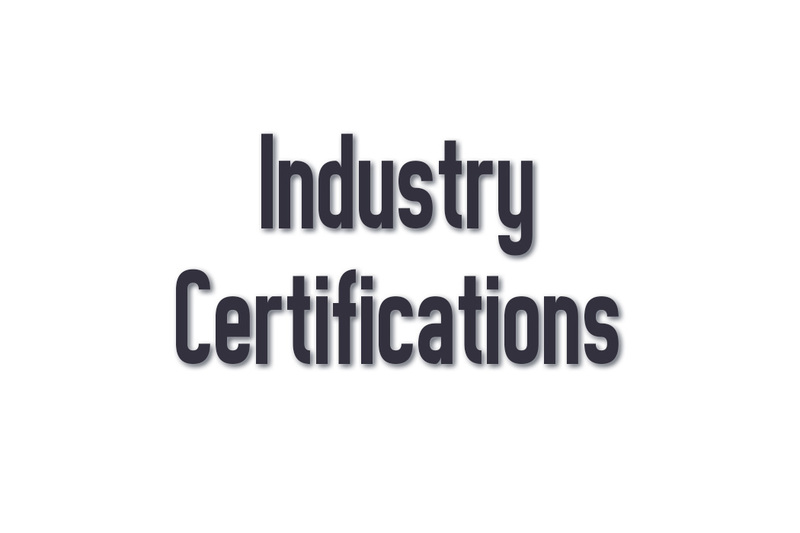 We service the following industries: commercial, defense, Retail, high-tech, medical, construction and industrial artists & sculptures. Alloys: 1060, 6061, 6063, and other 6000 series, 5000 Series and 7000 series. 4-Axis Wire and 5-Axis Sinker EDM's are used to produce features that are unable to be Machined. 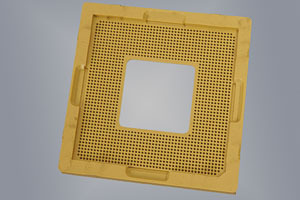 Small holes (0.008") intricate, sharp Corners (e.g. 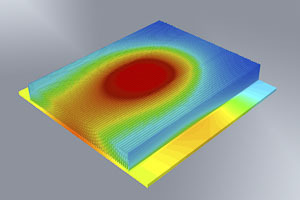 keywayes), one-of-a-kind contours and patterns in parts are typical. The sinker EDM replaces broaching on Lathes. Maximum part height is 14" for wire EDM and 10" for sinker EDM. Tolerances capabilities are ±0.0001"
Additional products include mold making and tooling fixtures. A full range of standard and custom, enclosures. 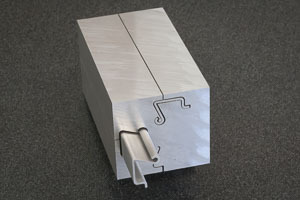 made from Extrusions, drawn or stamped. Standard line of 1U to 4U Enclosures with customizable bezel’s and front/back panels. Swiss-type , Multi-Axis Machines with 3 to 10 Axis Configurations allow for turning, milling and back turning operations to be completed on same machine in one cycle. Ideal for small parts and for long slender parts which would deflect or vibrate when turning on a traditional CNC lathe. 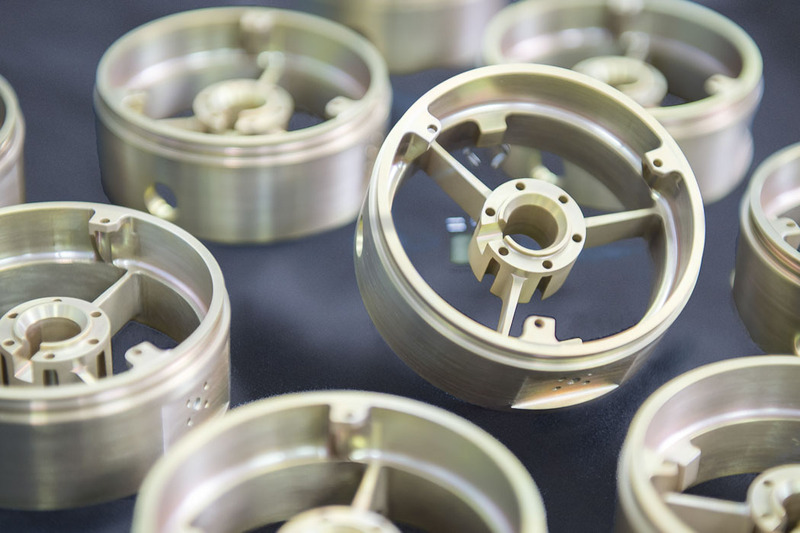 Able to produce parts from 0.010 to 1.25" diameters with tolerances up to ±0.0001"
Production from prototypes to millions of pieces. 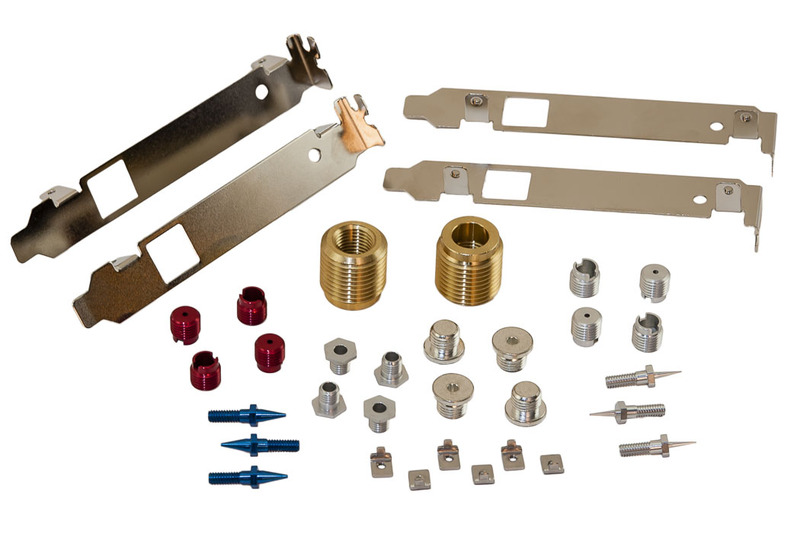 High spindle Speed, Dry Cutting machines for producing Chip Nests & Sockets; Electrical Connectors & Insulators; Frames, Test Fixtures, Chip Carriers, Instrument Panels; Screens, Shields, Shims, Shrouds, Spacers & Stiffeners. 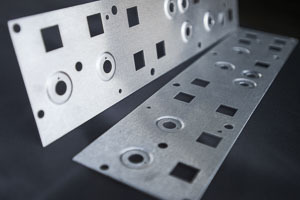 CNC Micro drilling / milling to 0.015" diameter and tolerances 0.0005"
This process is used to produce EMI & RFI Shielding, Heatsinks, Spring Clips, Drawn Parts, Brackets, Lead-Frames, Terminals (Lugs) Bus Bars Mounts, Adapters; Hardware & Handles. 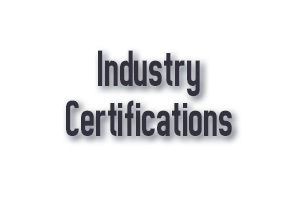 ANSI/AWS Certified to D1.1, D1.3 MIL STD 2219 & AMS STD 1595 steel, stainless and aluminum, as well as silver soldering. 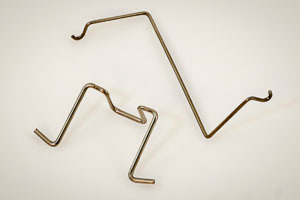 Wire forming and tube bending capabilities are used to support turnkey assemblies of metal fabrication and liquid cooled assemblies. 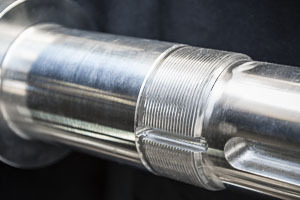 Wire Forming ranges from 0.008" to 0.75"
CNC Turning offer a cost effective approach to machining parts that do not require secondary (or minimum) milling requirements and tolerances in the ±0.0005" and above range. 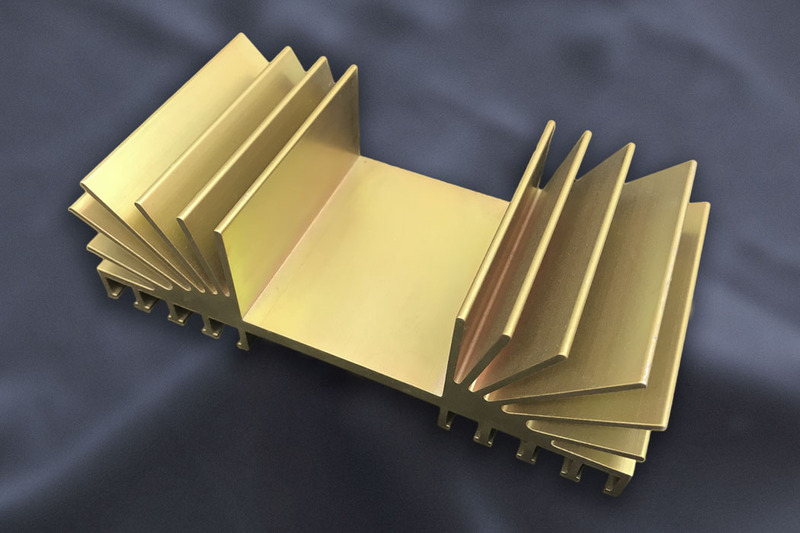 Our automated processes allow us to effectively produce proto-types and high volume production runs.